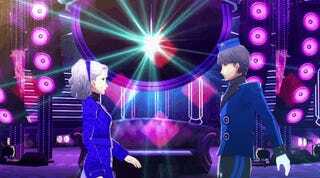 What, you thought we’d make it through a weekend without a Persona 4: Dancing All Night GIF? Margaret had other plans, and one doesn’t mess with Margaret’s plans. Igor’s eldest assistant has business to attend to, and that business is proving she’s got just as much energy as her younger siblings, Elizabeth and Jerkwad. One wouldn’t think that dress of hers would be suitable dancing attire, but she makes it work. Margaret makes everything work. With the Japanese release only weeks away, I should shut up about this game once my import copy arrives, but I make no promises.